Congratulations to all of the 2018 R.O.S.E. and R.I.S.E. Award winners! Have you received extraordinary customer service? 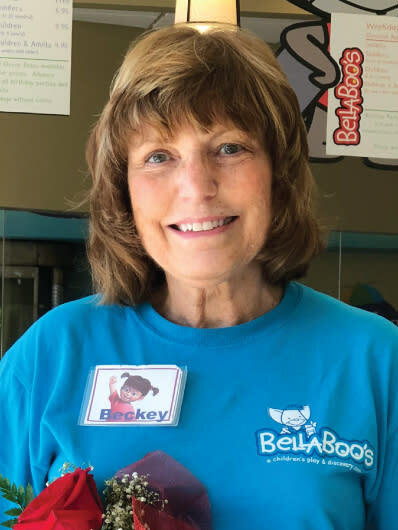 "Professor Play" will often wear costumes, write and cast puppet shows and bring in props from home to educate children that visit Bellaboo’s Play and Discovery Center. Without prompting, this retired teacher will inspire learning and young imaginations. Comment cards fly into the suggestion box about Beckey Swerdon, her free-spiritedness, her joy and her passion. She encourages fellow educators, teachers and children to be fearless and commit to the fun that lies in learning. Caitlyn Fritz is a breath of fresh air and a joy to work with. Her customers enjoy her smile, knowledge and her superior service. She remembers customers by name and their favorite drinks. Comments from guests include, "She is the best. Friendly and upbeat!" and "She always makes us feel special." She is a team player at Horseshoe Casino, coming in early to do the End of the Month counts for both bars. Her bar is presentable, stocked and cleaned before the bar opens. 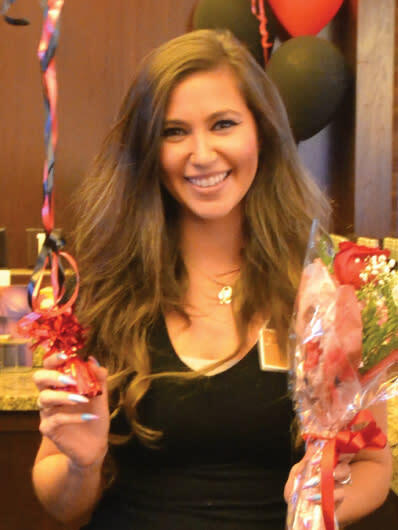 Caitlyn Fritz’s positive attitude and hard work have earned her a number of company incentives and "Verbatims." 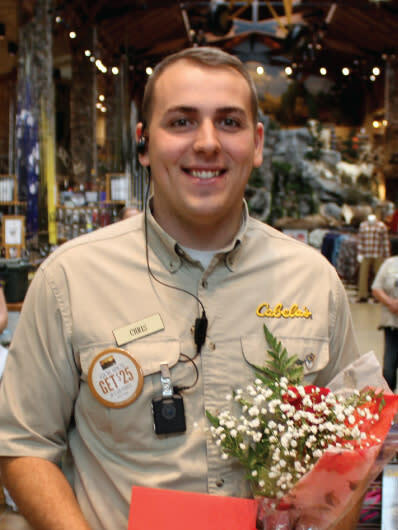 Only 10 months into his position at Cabela’s, Christopher Edwards was unanimously voted by his management team to be honored for his dedication and passion for helping customers. Customers are consistently raving about his service, providing fishing techniques, product descriptions as well as local fishing spots to use their new gear. He immediately jumps into action with every customer whether it’s helping load heavy items, making returns or medical emergencies. Recently, a customer fainted in his department and Edwards took charge and administered basic first aid until paramedics arrived. Brenda Manns is a guest favorite at Ameristar&apos;s Heritage Buffet who never loses sight of her goal for excellent guest service. 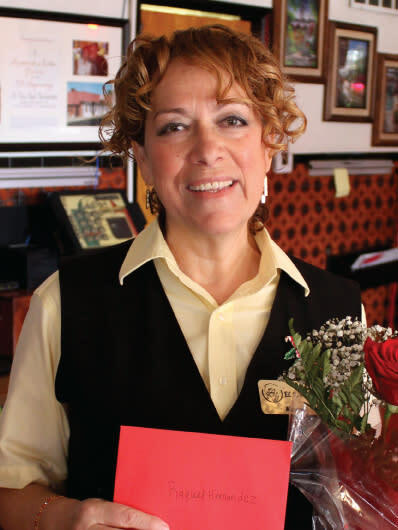 She brings the human touch to every guest she meets especially her regulars. She forms friendships with a number of her guests including a disabled Vet named Wayne. Wayne is an amputee who visits the casino with his wife. He uses a lap blanket because he gets cold. Brenda, who loves to crochet, noticed his blanket was worn. After receiving permission from management, she fashioned him a new one and presented it to him. Wayne was speechless and was choked up that she would do something so nice for him. 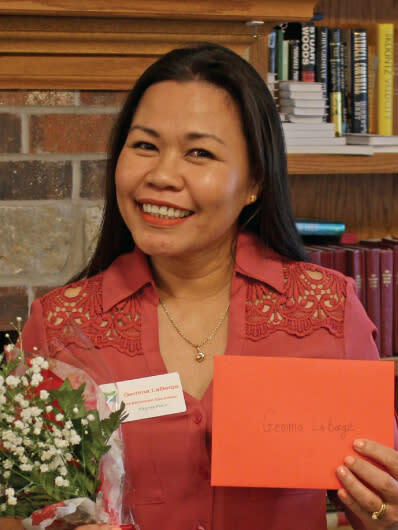 As a Life Enrichment Coordinator, Gemma LaBerge can be found serving meals, coordinating activities, dancing or exercising with residents and has a true passion for caring for people. One resident had to visit the doctor when family wasn’t available to take her. Gemma took her in the Center’s van, had lunch waiting for the resident and took her back to Virginia Place. 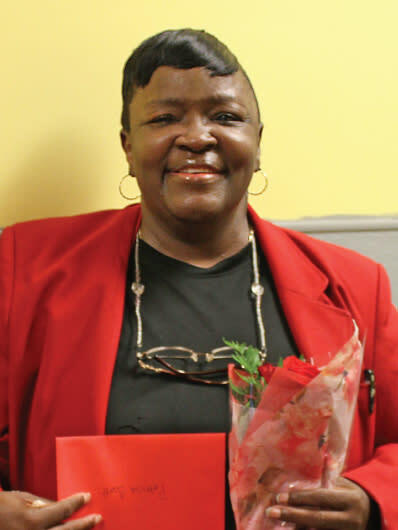 She works tirelessly to care for the seniors and those with memory care needs. She has the passion for making people smile, getting them involved in daily activities and enriching their lives. When VIPs and demanding customers visit Bartlett’s Fish Camp, George Kurtz is chosen to serve them. His demeanor, culinary knowledge, stature, hospitality and delivery is second-to-none. Recently when 15 hungry passengers disembarked their boat to eat at Bartlett’s they soon discovered no one had their wallets on board. Without hesitation and never meeting them before, Kurtz personally hosted the guests and paid their $400 bill with only a promise to be reimbursed with an online bill pay once the group returned to their port. He goes beyond superior service for our guests and employees on a regular basis. 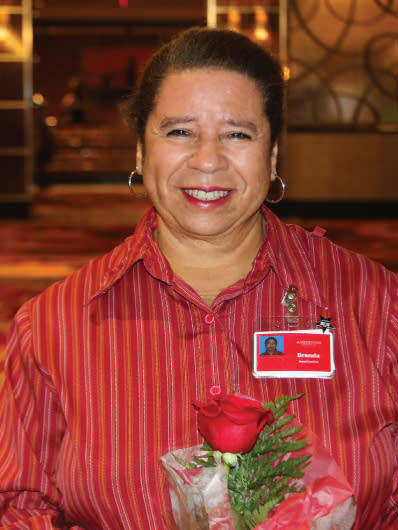 After taking a frantic call from a panicked guest, “Kiki” Peterson sprang into action at Ameristar. The guest had lost their wedding band, after they had already checked out of the room and the room was cleaned. She immediately put her entire team on high alert, including those that would be washing the linens. A short while later, another housekeeper found the ring in the bed skirt. The guest was so pleased; he rewarded Peterson with $100. To show her appreciation of the housekeeping staff, Peterson insisted the money go to the housekeeper that found the ring. Many customers visiting El Taco Real ask for Raquel Hernandez by name. She has worked at the establishment for more than 40 years and is committed to providing her customers quality service and each customer feels like family when Hernandez serves them. She provides wonderful conversations, provides samples of new menu items and is attentive without being intrusive. A customer commented, "She noticed I was scared for an upcoming surgery. She hugged and comforted me; her kind words put me at ease and I was relieved and comforted that night." The customer continued, "She makes our dining experience very pleasurable and relaxing." 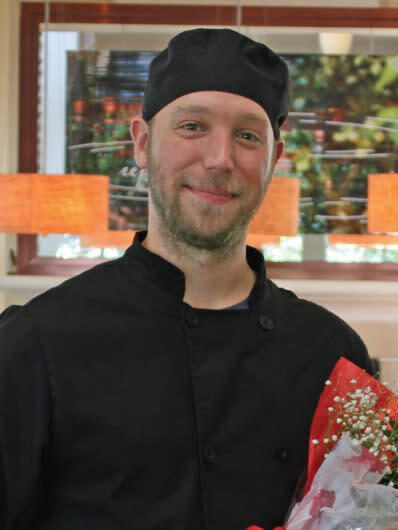 Although Keith Jordan typically works the backline by the grill at Bellaboo&apos;s, he is known by name by regular customers - adults and children alike. His "fans" request sandwiches as, "Keith’s Reuben sandwich." He inspects all of his food after deliveries making sure his products are of the utmost quality; taking pride in each menu item he prepares. He’s often summoned to the front counter for praises from new guests and is kind and courteous to both staff and customers. He sets up his station for success each weekday and finishes with a stocked station for the next cook, too. 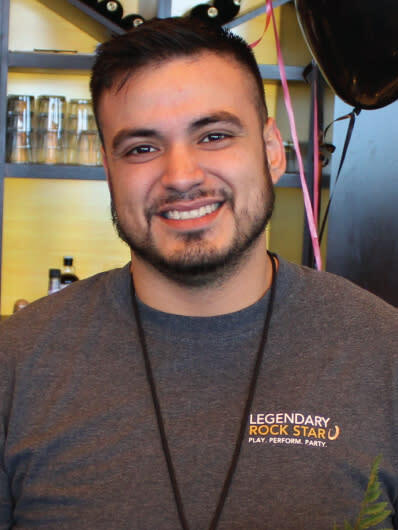 Jose Zendejas creates lasting customer relationships through his impeccable customer service and innovative cocktail creations. He has spearheaded his own spirit and cocktail menus that focus guests on lower cost items and makes cordials and flavor additives in-house bringing the cost down and adds to the quality of the cocktails. He also played a significant role in building Binion’s Signature Barrel Program. He continually challenges himself in his role at the steakhouse and exemplifies the innovative spirit known at Horseshoe Casino. 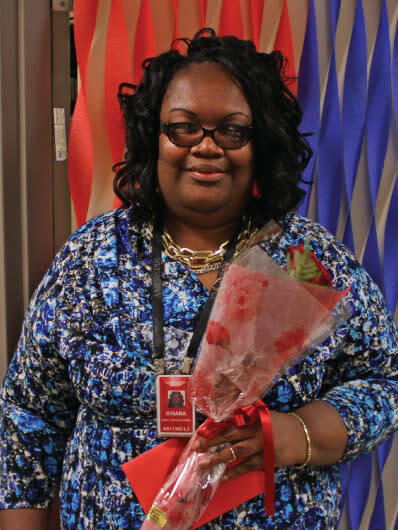 Patricia Scott, an integral part of the Security department at Ameristar, has a great working relationship with other departments to ensure great customer service every day. She has battled and overcome personal duress, with minimal call offs and came to work every day with a professional, yet happy attitude. She gives 100% on the job and in her community. She is a dedicated foster parent and has also coordinated efforts for other team members that have fallen on hard times including home fires, floods and medical reasons. She doesn’t skip a beat when helping others - at work, at home, and in her community. Kevin Ogden is not your typical maintenance technician. 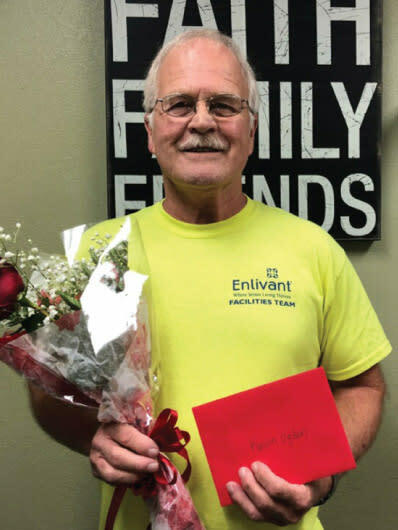 He works tirelessly changing light bulbs, shampooing carpets, hanging pictures and moving furniture, but you can always find him smiling and making time for the residents at the facility. He gets to know the residents and makes them feel at home. It's not uncommon to find Ogden helping new residents move in, working late to make sure everything is just right in their new space. One family member wrote, "He also came in the following Saturday to hang my mom's pictures … even though it was his day off." 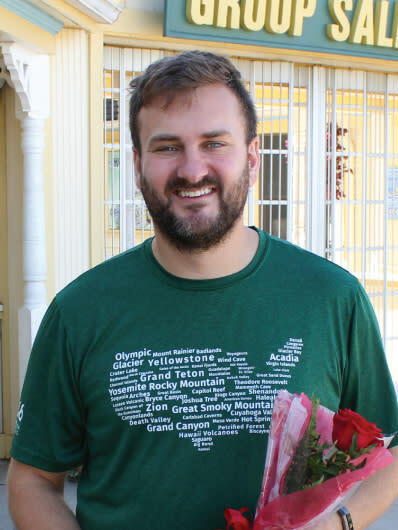 Those that know Michael Seamon would describe him as, "a guy with a heart of gold." 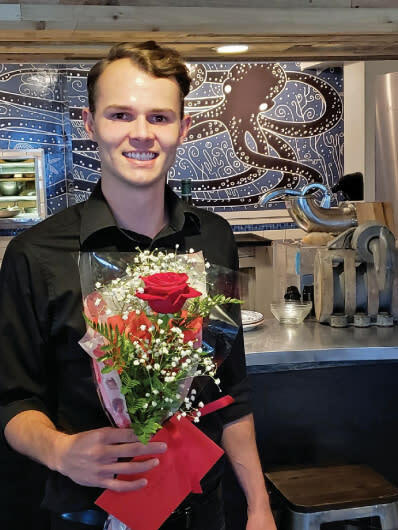 After working a 40+ hour week, he will be the first to fire up the grill to make an omelet for a busy guest that missed breakfast, to lend a hand in other departments, or to give a coworker a ride home. He takes extra time to make children his special smiley face pancakes, just to brighten their day. 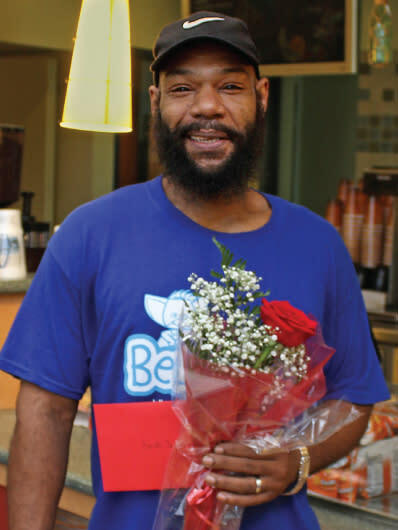 His kindness doesn’t end at the Hilton Garden Inn; Seamon often volunteers in his community and most recently helped clear out the east branch of the Little Calumet River for kayaking and canoeing. He also finds time to fill-in for his niece at daddy/daughter dances and other important events. 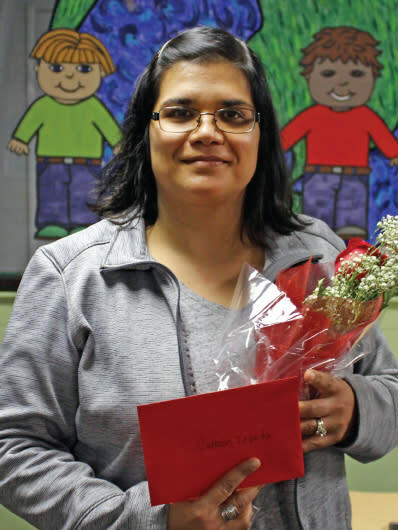 Carmen Zepeda's friendly demeanor and organizational skills serve her well in the KidZone, supervising children. Parents can leave their children for a few hours while they use the fitness center and not have to worry. Children often run to her when they arrive and complain that they don’t want to leave when it's time. In addition to running the day-to-day KidZone, she will go above and beyond. Zepeda created a monthly "Parent's Night Out." She themes each night, arranges for volunteers and creates activities to keep the kids busy while their parents are enjoying a date night. Ryan Trisler was hired as a manager at Deep River Waterpark after the former manager left unexpectedly and there was high turnover. Trisler jumps in to any task to help out, no matter how small. He will help fold pizza boxes if that&apos;s what&apos;s needed. He&apos;s fair, friendly and accommodating to his staff and employees in other departments have noticed and made comments. An employee was cut while taking out garbage this summer; he ran to help her, took off his shirt and used it as a tourniquet. The injured party wasn’t even in his department. No matter who needs the support, Ryan Trisler is always the first one to lend a hand.